A week that started so brilliantly with a fantastic win over Newcastle United, ended with the return of Nil Satis Nisi Optimum but disappointingly a defeat in Manchester, with the Blues failing to capitalise on an early goal at the Etihad Stadium, to lose 3-1 to Manchester City. Everton propelled themselves into the top four of the Premier League with an astonishing first half performance that left Alan Pardew and Newcastle chasing shadows, with the Toffees 3-0 up before half time. Newcastle did fight back in the second half and a late goal certainly made Goodison a centre of nervousness for the final 5 minutes, but Martinez’ men held on for a well deserved three points. The partnership between Lukaku and Barkley has fantastic potential, with both yongsters on the score sheet for Everton. Jamie Carragher was so impressed with the Everton pair, he compared the Blues forwards to Torres and Gerrard in their prime. “I was looking at it from a Liverpool point of view. Remember that partnership of Fernando Torres and Steven Gerrard a few years ago? Everton were brilliant against Newcastle, especially in the first half, moving the ball quickly from back to front, but importantly playing football in all areas of the pitch. As the week moved on, one of our regular columnists Toby reflected on Everton’s ability to play out from the back and wondered if the Blues currently had the personnel to implement the new managers tactics. It certainly caused quite a debate, with many disagreeing and coming out in support of the Martinez vision. Do Everton really have the footballers to play out from the back? Thursday bought with it news of the new Everton crest and it was no surprise to see option A selected. 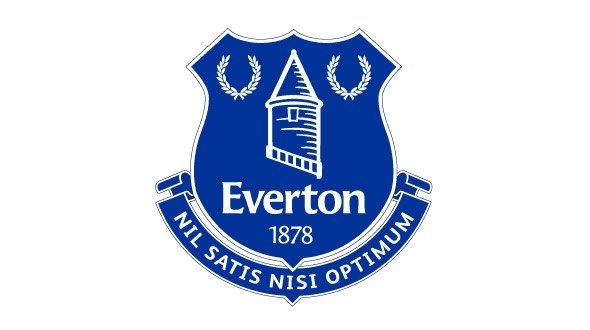 The crest see’s the return of Nil Satis Nisi Optimum after a one season absence. The motto is regarded by the majority of Evertonians as the sole of the football club and has already been adopted by new manager Martinez, who has brought his own twist, signing off his programme notes with Solo lo mejor, or “only the best”. Thursday was also the day that Roy Hodgson named his England squad for the crucial World Cup qualifying fixtures. Phil Jagielka is almost certain to start, while Leighton Baines will hope his early season form and his headline grabbing goals against West Ham will propel him ahead of Ashley Cole and into the starting line-up. Joining the two squad regulars was Ross Barkley. The Academy graduate has been grabbing the headlines throughout the early stages of the season, with many choosing to compare teenager Barkley with England legend Paul Gascoigne. As the weekend drew closer, attention inevitably turned towards the next match, with Everton travelling to Manchester City. Everton went into the fixture looking to extend their excellent recent record against the Billionaire citizens, but would have to do so without Gareth Barry who was deemed ineligible with his loan deal and Premier League rules preventing him from facing his parent club. With Barry out, the return to fitness of Darron Gibson could not be more timely. Saturday’s match could not have started much better for Everton, with Romelu Lukaku giving the Blues an early lead. The Belgium brilliantly evaded the offside trap before skipping past Lescott and firing past the out of form Joe Hart. Unfortunately for Everton the lead didn’t last more than 90 seconds, with Negredo slotting under Tim Howard to draw City level. Two further strikes from Sergio Aguero, the second from the penalty spot, after a poor refereeing decision, left Everton facing their first Premier League defeat of the season. Perhaps the last word for the week should be left to Roberto Martinez, who felt that Everton had been hard done to, with poor refereeing costing Everton any hope of forcing themselves back into the game. Next Post Tim Cahill to be finally rewarded for successful career?